. Those who sign up will have the opportunity to join the many Morrisville residents now using Google Fiber. If you live in the broader Triangle, check your address and be among the first to know where we go next, at fiber.google.com/triangle. 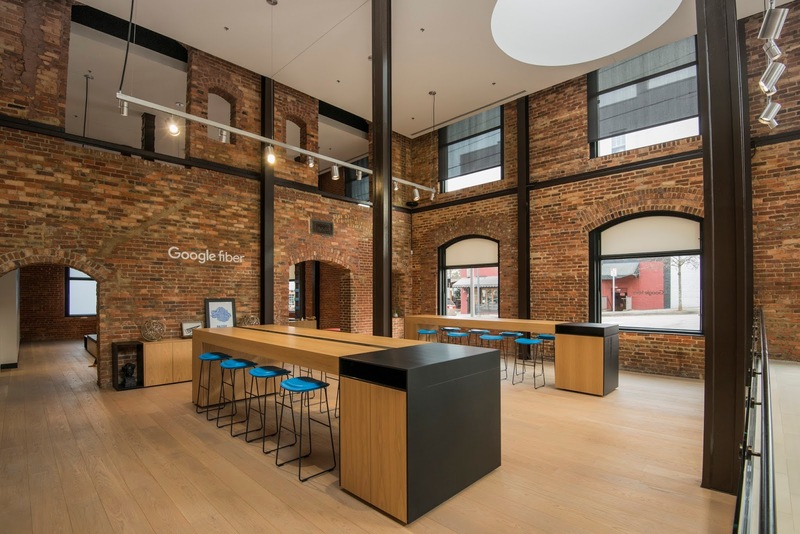 We’re also happy to announce the grand opening of our brand new Raleigh Fiber Space, in the historic 518 West Jones building in Glenwood South. Come step inside and take Google Fiber’s superfast Gigabit Internet and TV for a spin. Our first community event takes place this week during Raleigh First Friday. In celebration of our local artist community and to kick off Black History Month, we are unveiling the latest addition to Raleigh’s mural scene, created by Victor Knight, III, as well as some of his other works. Providing beats for the evening will be local legend, 9th Wonder. We hope you can join us! Finally, we’re continuing our work in the community to help those most impacted by the digital divide. We’re thrilled to share today that we’re preparing to serve our first Gigabit Communities property at The Oaks in the coming months. 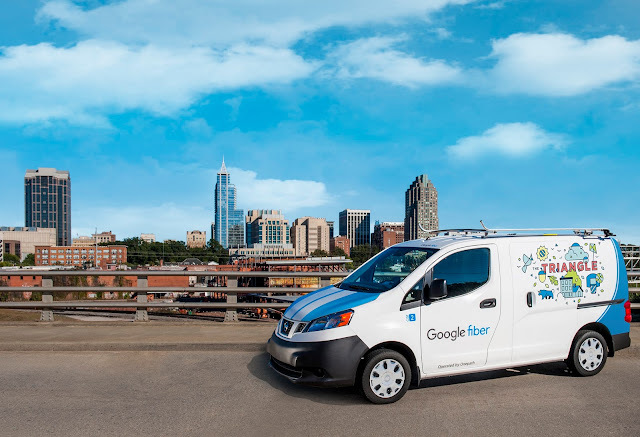 Gigabit Communities is a Google Fiber program that brings free gigabit Internet to residents in select public and low-income housing properties. We know that digital literacy is an important component of any inclusion program, so we’ve been working closely with nonprofits across the Triangle, including Code the Dream, The Forge Institute and ThinkHouse, and to support digital inclusion fellows at the Kramden Institute and the Triangle Literacy Council. Eligible small businesses can sign up for one of three business offerings. Our teams remain hard at work building one of the largest infrastructure projects in Triangle history and we can’t wait for even more customers in the Triangle to give Fiber a try. You can track our construction progress on our website: fiber.google.com/triangle. And if you live in an apartment building, while you’re there you can check out our Apartment Finder to see if your building is on track to get Fiber soon. Note for reporters: download our press kit at www.google.com/fiber/trianglepresskit. Just five months after launching in Morrisville, today Google Fiber is accepting sign-ups for residents and businesses in the North Hills, midtown area of Raleigh. Those who sign up will have the opportunity to join the many Morrisville residents now using Google Fiber. If you live in the broader Triangle, check your address and be among the first to know where we go next, at fiber.google.com/triangle.